Relocating a pet can be hard for you as well as your pet. Pets are family and you would not want to take any chances with their well-being. Therefore, you would be on a lookout for the best pet movers. 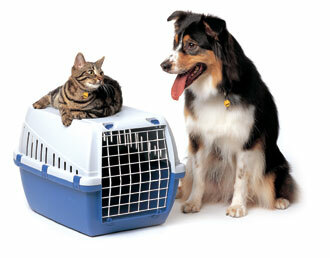 We at Mr.Move have the much-needed knowledge and expertise to transport your pet to the new destination. We also ensure that government regulations associated with pet transport are taken care of. The hard time will appear to be a breeze if you opt for our services as we shall take the responsibility of the complete planning and preparation. Your beloved pet will be safely brought to your new home anywhere in the world as we also provide International pet relocation services. Your pet’s checkup needs to be done in advance. All the necessary documents like vaccination records and health certificates have to be kept carefully. Provide all your details on the pet’s collar along with the special care instructions. Don’t feed your pet 7 hours before the journey. Keep water close to the pet. If traveling by air, make sure that the airline’s crew is directed properly and the pet has a comfortable carrier to sit in. When traveling by road, cover the pet’s carrier so that it does not feel anxious as the vehicle moves. Make sure that the place is properly ventilated and spacious enough for the pet. Get the pet feel comfortable inside the carrier in advance if possible. Don’t give the pet a tranquilizer without the vet’s consent. Reach the new destination on time so that the pet feels secure. Take all the medicines and pet supplies to the new place. In case of an emergency in relation to the pet, ask the movers to contact you. Give the health-related documents to the movers.